The Blogging from A to Z April Challenge is a challenge put out to bloggers to publish a post from A-Z every day in April, except for Sundays. April 1 is A, and so on throughout the month. Bloggers can post randomly or on a theme. The theme I have chosen is ‘My Ancestors’. I used this same theme for the Blogging from A-Z April Challenge in 2015. This time the ancestors posted about will mostly be more distant members of the family. Hopefully, when combined this will form a full picture of my family history. Elizabeth was born in 1831 in Lanarkshire, Scotland. Her parents were DAVID ANDERSON and JANE DRUMMOND. 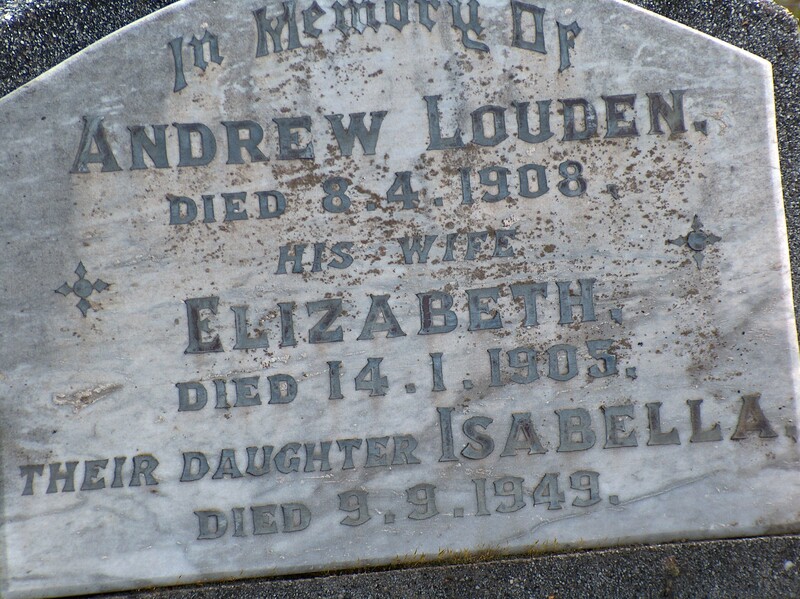 Elizabeth joined our family when she married my great great great grandfather ANDREW LOUDEN. They married in 1852 at Old Monkland, Lanarkshire Scotland. Shortly after their marriage Elizabeth and Andrew sailed for Australia on the ship ‘Aberfoyle’. They began their new life in Australia, in the Geelong area, but soon moved to the Ballarat area to begin a life of farming. Elizabeth gave birth to 12 children, eight girls and four boys. The photo below shows Andrew and Elizabeth Louden and their family. All family members haven’t been identified as yet. Elizabeth is in the centre, wearing a bonnet next to her husband Andrew. As you can see they had a large family. Elizabeth gave birth to twelve children between the years of 1853 and 1874. After their farming life was over, Elizabeth and Andrew moved to Queen Street, Sebastapol, near Ballarat. Elizabeth died on 11 January, 1905 at her home in Queen Street at the age of 74. She is buried with her husband Andrew, at the Old Cemetery in Ballarat. Good to know about the life of Anderson Elizabeth. Good luck for AZ Challenge. I awakys admire people who trace families like this. I guess a large family of 12 would not have been unusual in those days. Interesting A post. You are so lucky to have all this information! All the old pictures that I have I noticed that no one was smiling. My uncle told me that back then you weren’t supposed to smile when you had your picture taken. 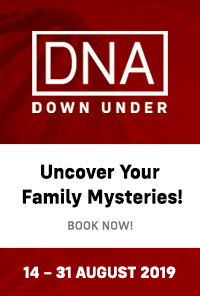 I’ve been researching the family for many years Cheryl. Your uncle was correct about lack of smiles in 19th century photos. Thanks for visiting. Hoping your series of posts is useful cousin bait and you reel in some connections.